Rétromobile, the unmissable classic car show that kicks off the season, is making its big return from the 6th to the 10th of February 2019 at the Porte de Versailles. For this 44th edition, the Exhibition joins forces with the National Motor Museum of Beaulieu, the Haynes International Motor Museum and Transports Prevost to celebrate the 60th anniversary of the most admired English girl in the world: the Mini. Designed by a Greek engineer born in Turkey, Alec Issigonis, the Mini was based on the concept of creating a car that was both popular and economical. 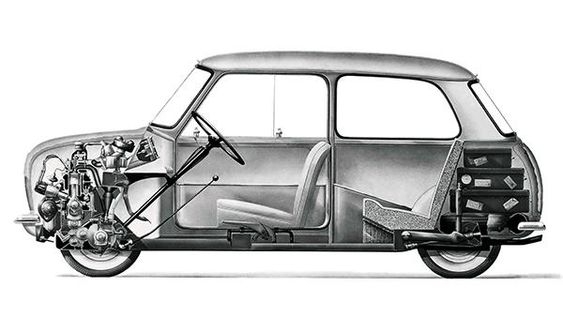 Issigonis was inspired by the chassis designed by the French engineer Dechaux, presented at the 1947 Motor Show. With front wheel drive and a transverse engine, it was designed to optimize the amount of room for passengers while remaining as small as possible. The Mini has everything a bigger car has: 4 seats that can accommodate 4 adults. At 3.02m long and 1.40m wide, it is one of the few truly iconic automobiles. Its success has been so great that 60 years later, 5 million units of this small, round-bodied vehicle have been sold across the world. 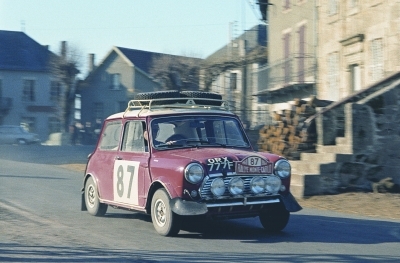 60 years have passed since the Mini made its debut. Designed by vintage car enthusiasts, this exhibition will pay homage to the history of this classic car and will honor some twenty different models. Taking the form of a retrospective, it will look back at the beginnings of the brand, featuring - for the first time ever - the prototype chassis designed by Dechaux in 1947. Visitors will also be delighted to discover many of the models that defined the success of the brand, such as the utility pickup Mini and small commercial van, the Mini Moke originally designed for the British army, the Mini Break Woody, and even the Cooper S and Marcos sport editions. 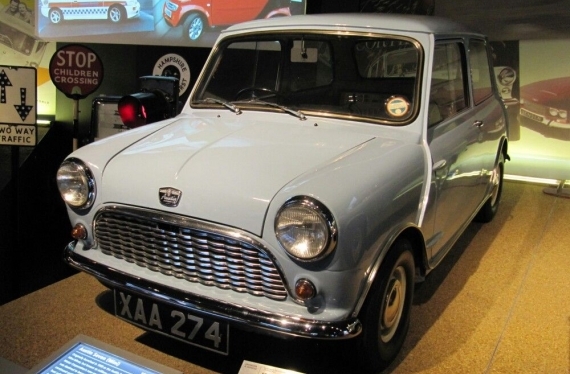 The National Motor Museum of Beaulieu presents on this occasion a Mini from the first 1959 series. 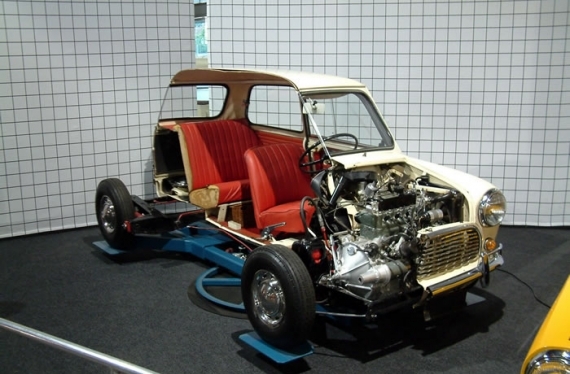 The Haynes International Motor Museumpresents a rare Mini that has been cut lengthways which will be on show to the press and the public at the show. The Mini Moke was designed at the request of the British Army, who needed an all-terrain light vehicle on a par with the World War II US Jeep. The concept of the Mini Moke was not retained as it was too fragile and weak in rough terrain. 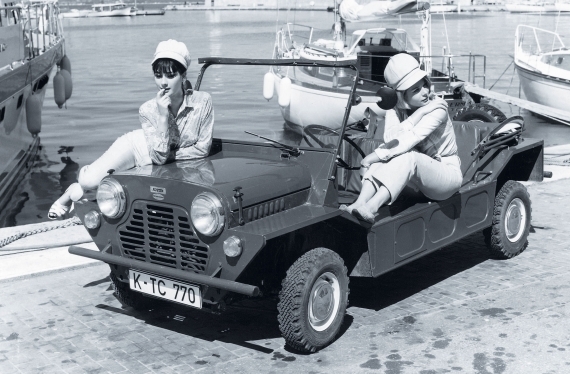 However, the Mini Moke was popular in the civilian market from 1963 to 1993 and 50,000 units were produced. 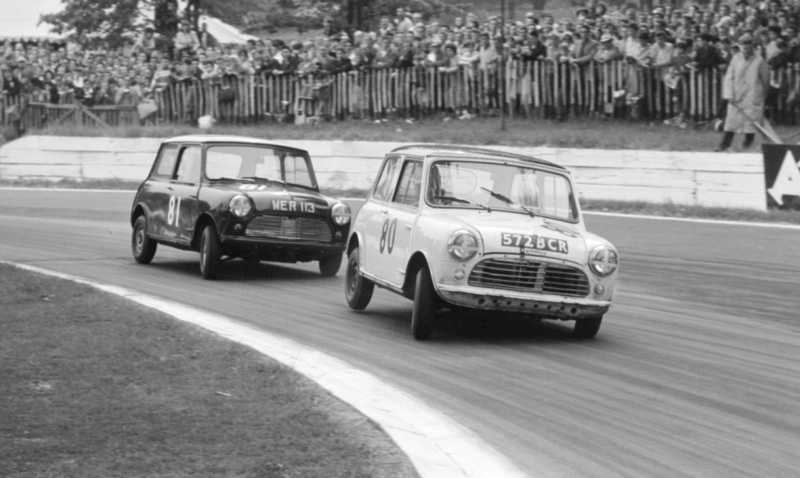 In 1963 the little British bombshell began to make herself known in the world of motor racing. 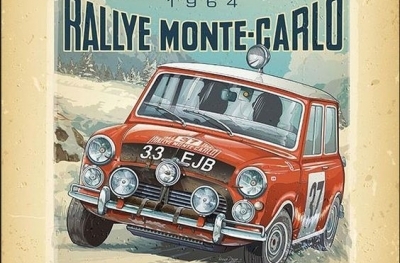 She even took part in the Monte Carlo Rally for several years. In 1965, the British manufacturer Marcos manufactured a series of small fiberglass sports cars based on the Mini. 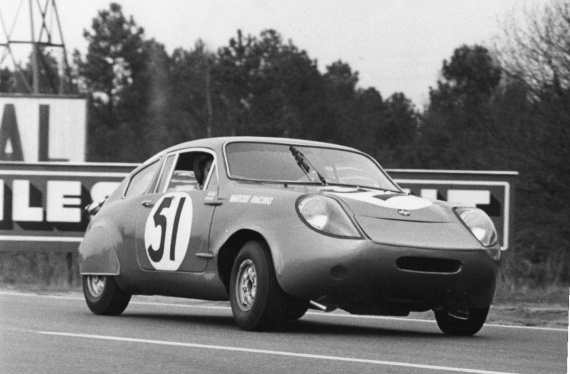 The small racing car has streamlined bodywork, and in its glory days, finished 15th at the 24 Hours of Le Mans in 1966.